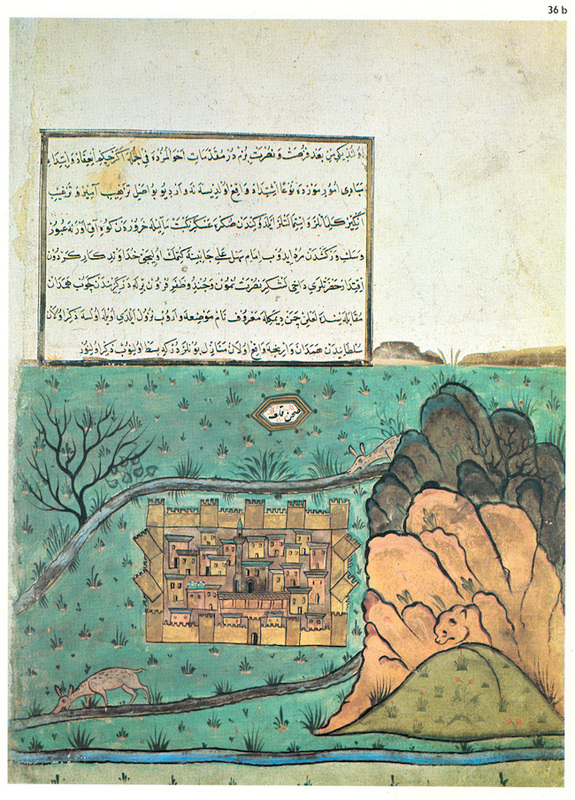 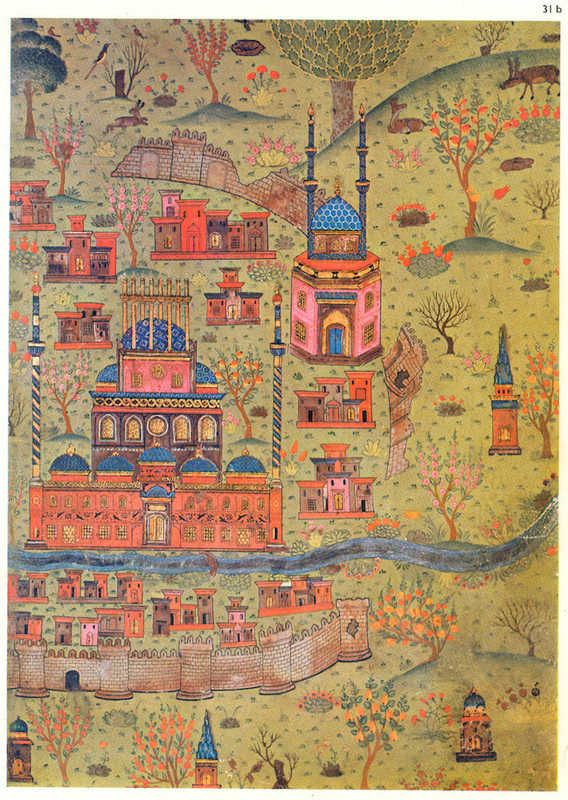 In addition to his important writings in the fields of both mathematics and history, the Bosnian-born polymath and all-round genius Matrakçı Nasuh is best known for his exquisite miniatures depicting various landscapes and urban centres of 16th-century Persia. 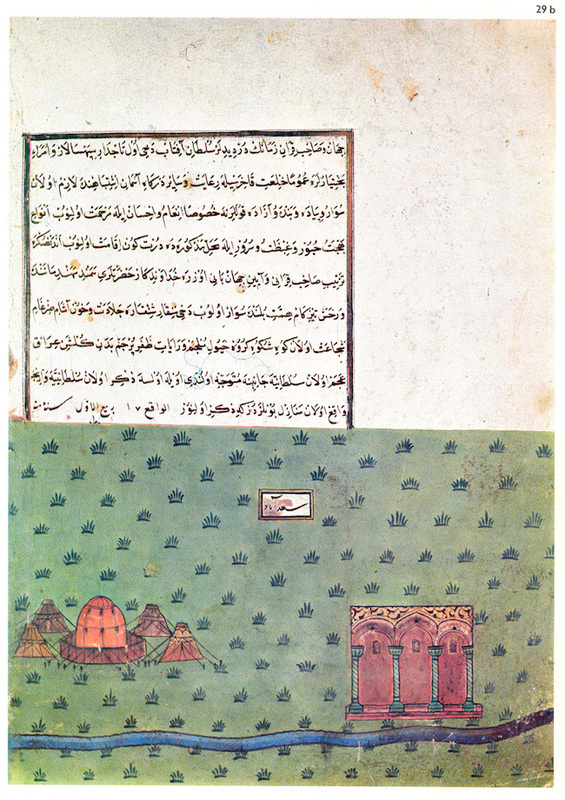 The images can be found spread across his four historic volumes, with perhaps the most important being Fetihname-i Karabuğdan — now at the library of Istanbul University — which addresses Suleiman the Magnificent’s Safavid War of 1532–1555. 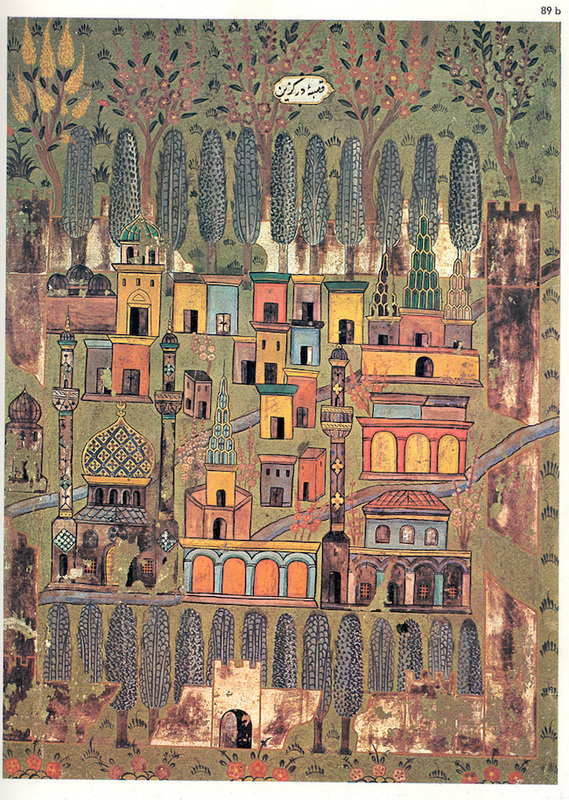 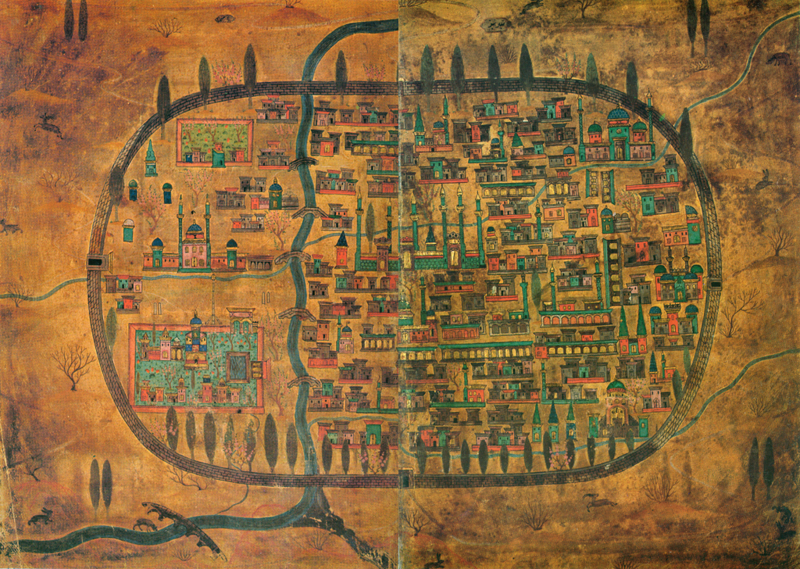 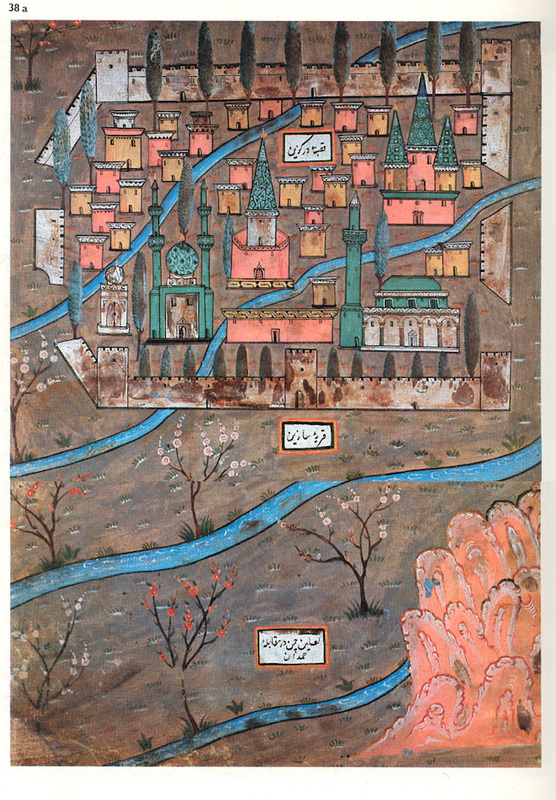 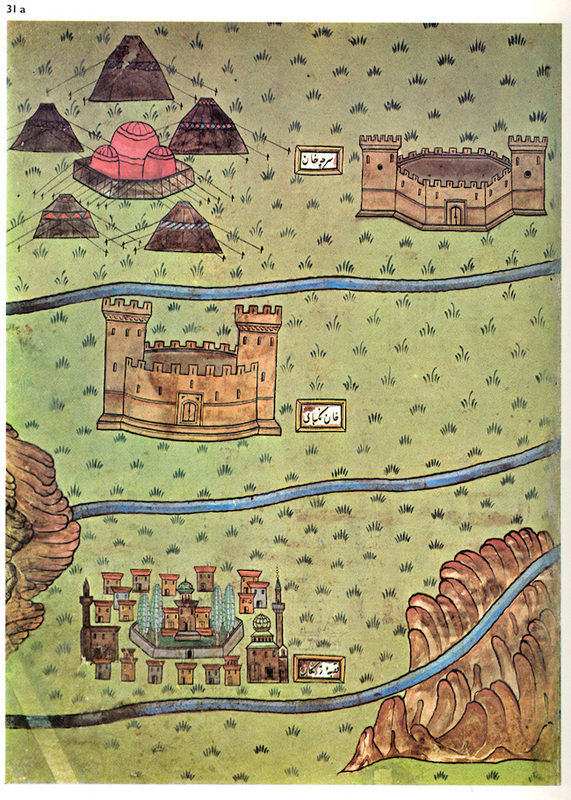 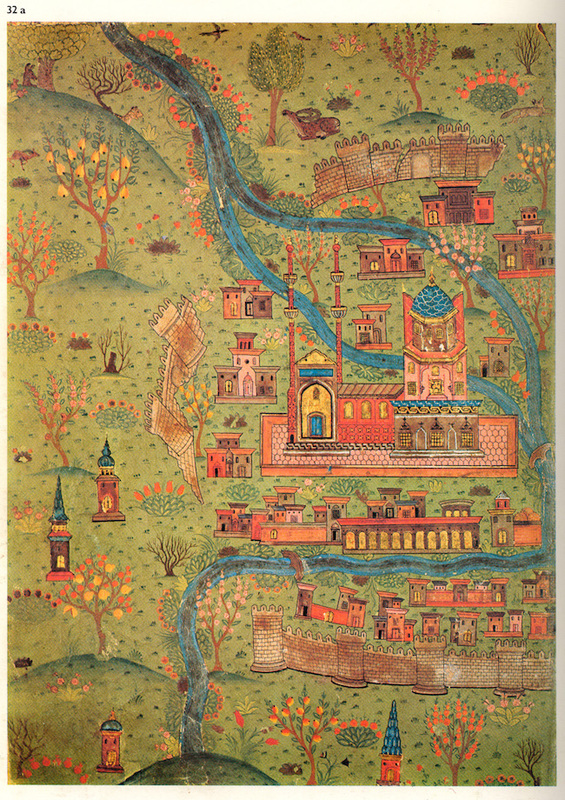 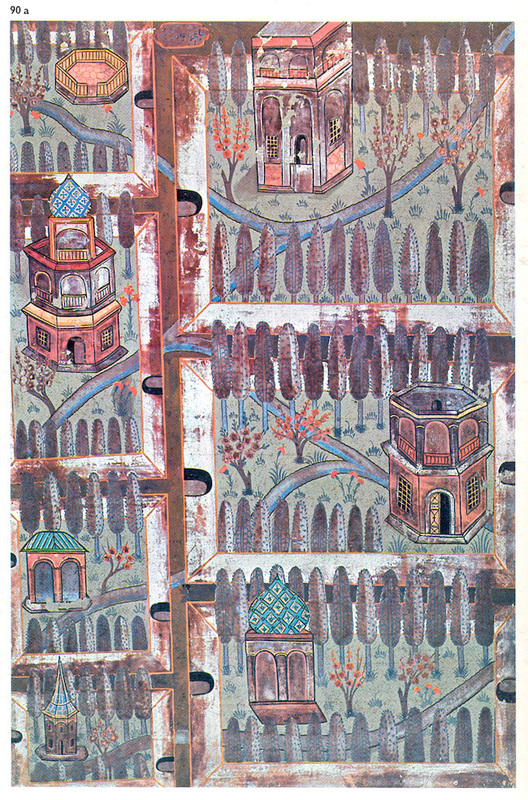 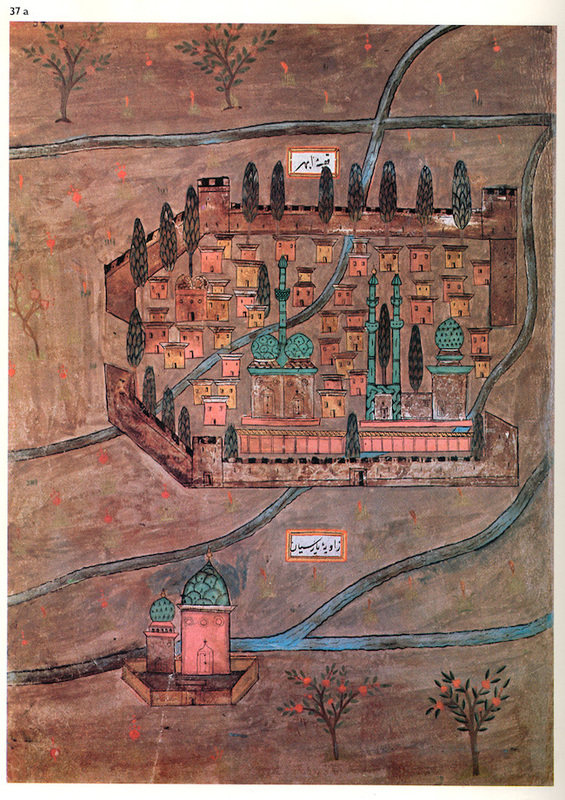 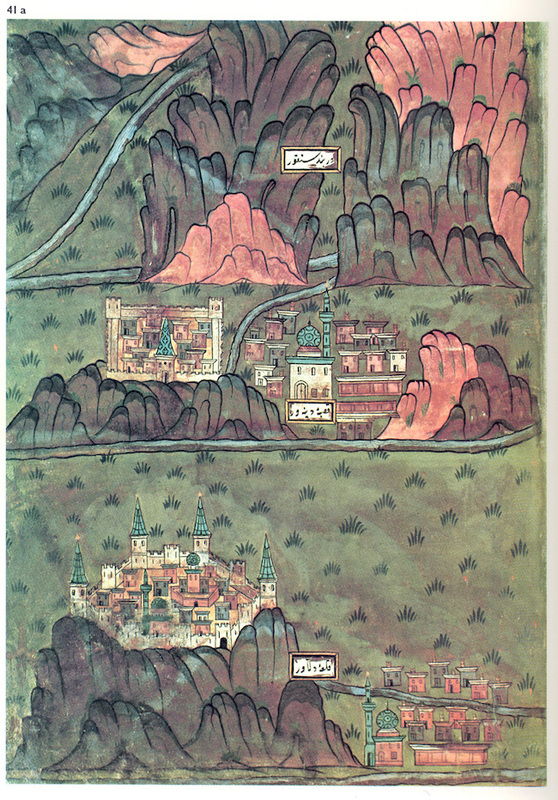 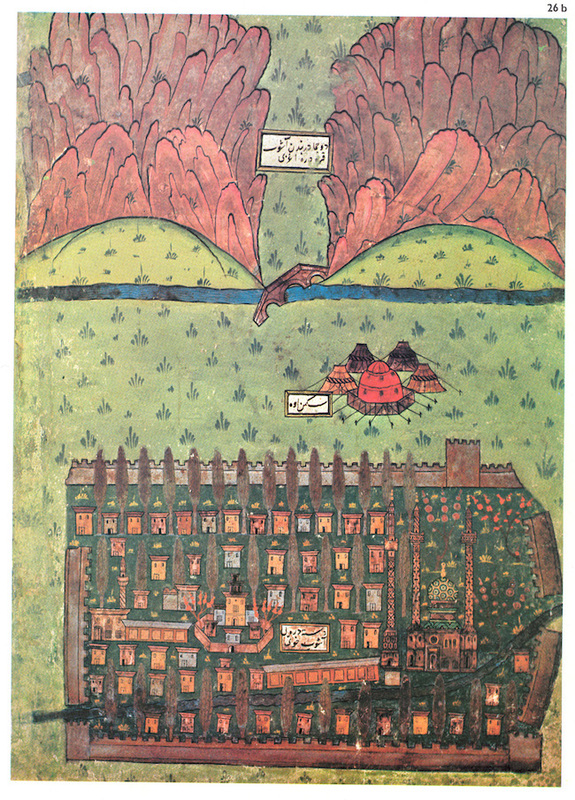 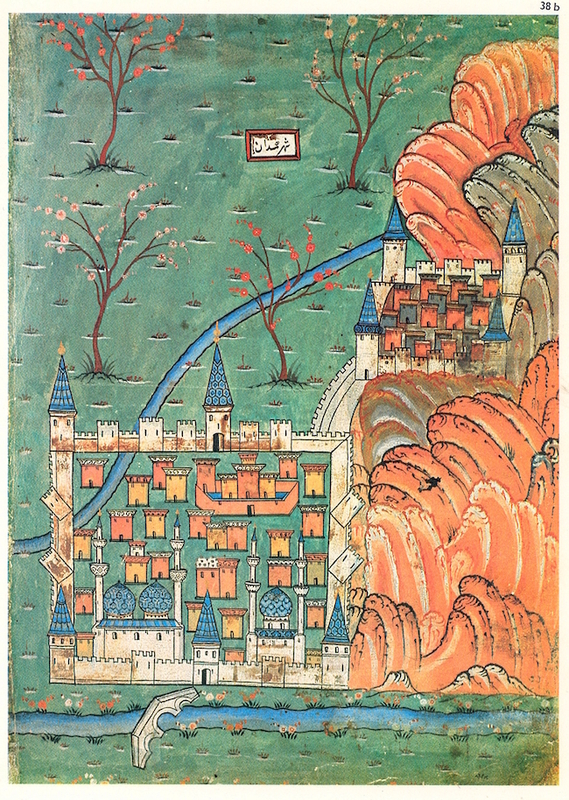 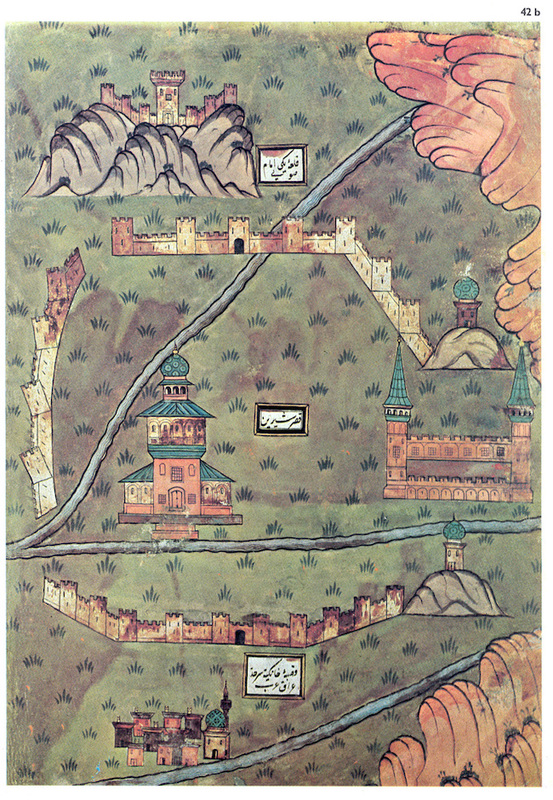 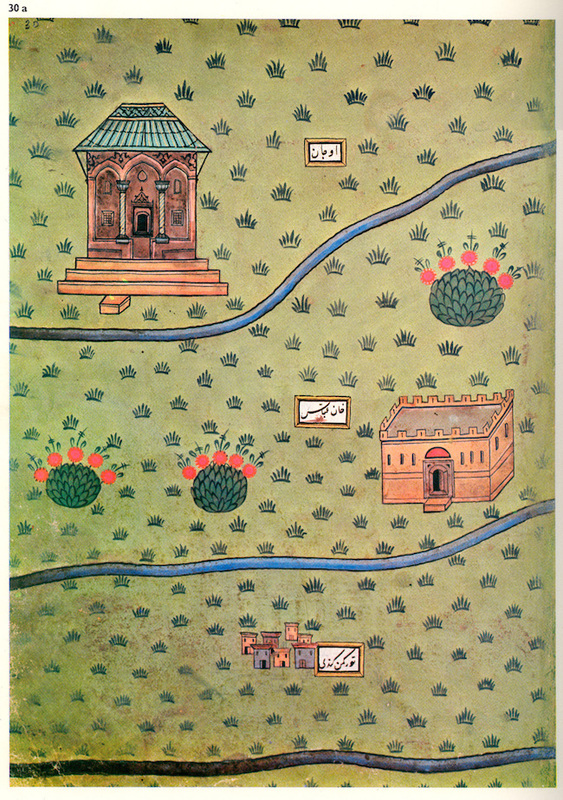 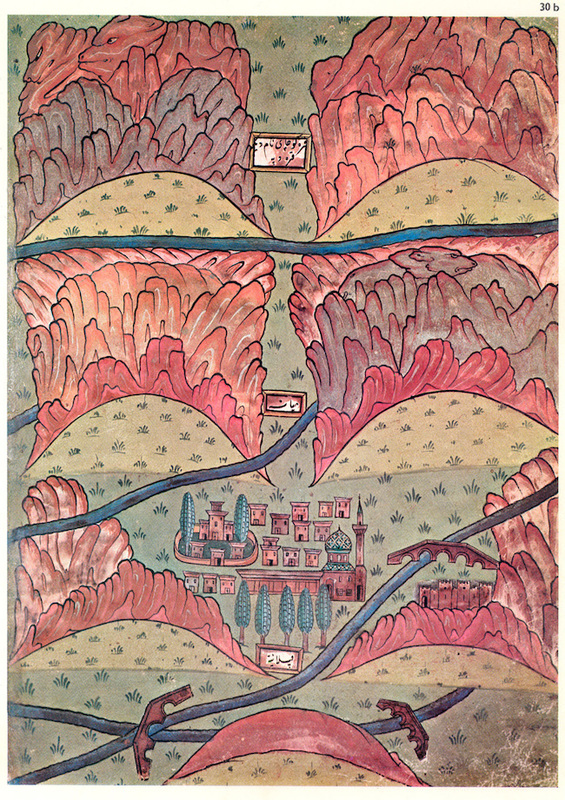 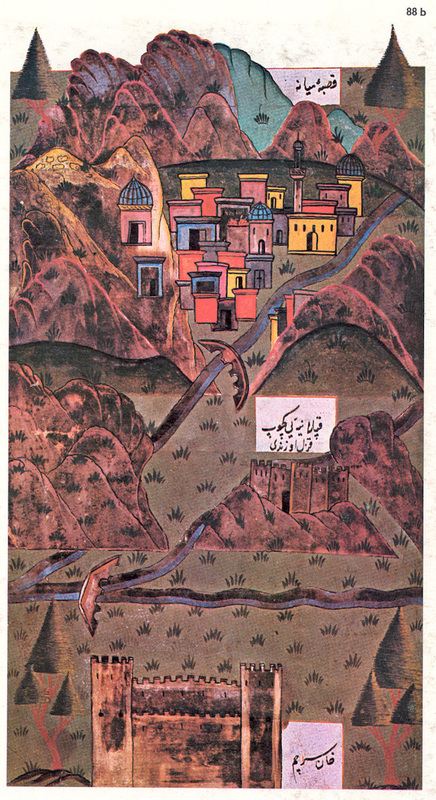 In the work Matrakçı Nasuh illustrates the cities encountered by the Ottoman army as they marched from Istanbul to Baghdad, then Tabriz (pictured above), and the return journey through Halab and Eskisehir. 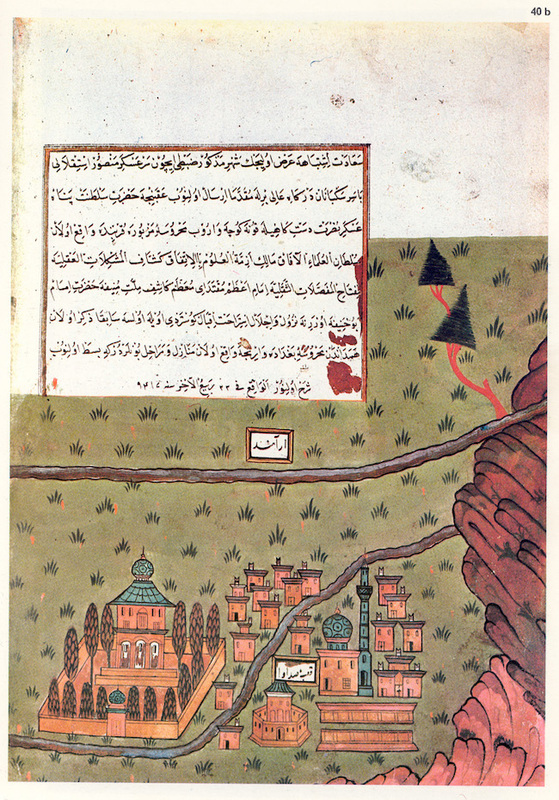 The name Matrakçı was not, in fact, his name by birth but rather a nickname referring to his invention of a kind of military lawn game called matrak (a word which means “cudgel” or “mace”, the main weapon at the heart of the game). 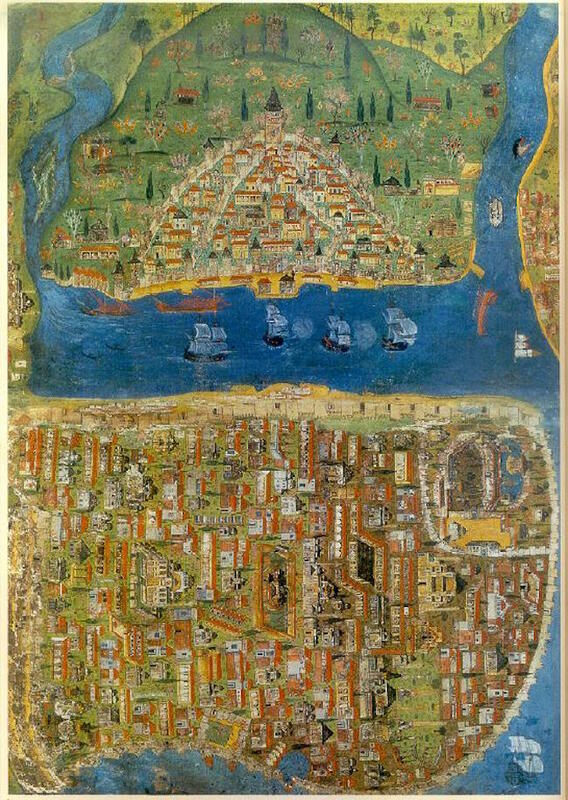 The name stuck, and later would come to label its very own genre in Ottoman miniature art, the “Matrakçı style”, describing works echoing his penchant for detail and precision of execution, perhaps nowhere better encapsulated than in the famous image of Istanbul from 1536, the last image featured below.